EV SSL-certificate – one of the most advanced security certificates, which offers 256-bit encryption, as well as the green address bar in the browser URL bar. The green line shows the name of the company that is the best proof of the fact that the company is legitimate. This visual sign will be noticed by users. To get the cherished EV SSL certificate, the company will need to go through a rigorous authentication process. All steps of this process are described in details by CA’s. The company has to provide some information which would be used in order to confirm its real existence. Thanks to the EV certificate, the company can increase the confidence of the visitors and win a good reputation online. What signs of trust allows to obtain an EV SSL certificate? Green address bar containing the name of the organization is one of the indicators for EV SSL, which shows users that the website is safe and secure. It confirms that site is legit and it is safe to enter any personal information (such as name, address, contact information, telephone number, Bank details etc. ), and no one will be able to steal this data. Trust seal is another EV SSL indicator, which allows you to display the name of the certification authority and a timestamp. All this allows users to make sure that the site is trusted and fully protected. If you have an online business, then your main goal is converting visitors into buyers. Green address bar helps to achieve that goal, increasing your income and improving your online reputation. The company should be concerned in making a secure online website that can gain trust from the users. EV SSL certificate allows you to create a secure and trustworthy environment that catches the eye of the visitor from the first minute, making the insertion of personal information as easy as possible. Users assured that their valuable information will not be accessed by unauthorized individuals, and therefore more confident in filling in various forms on your website which will most likely result in sale of your products. EV SSL certificates are also available with the functionality of a SAN for use in multidomain. Such certificates are issued by Comodo, Symantec, GeoTrust, Thawte certification authorities. What is an SSL-certificate? 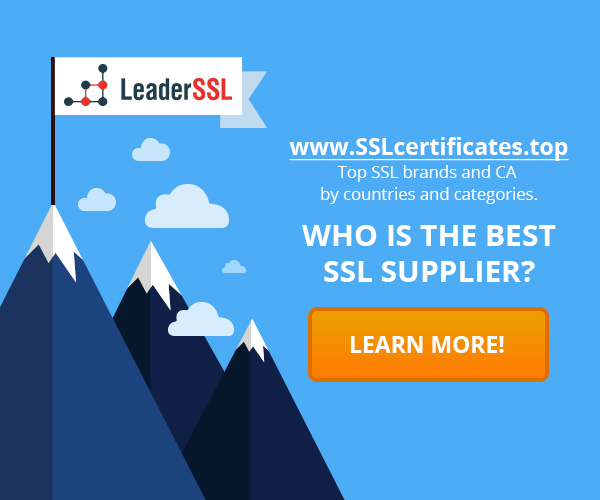 SSL-certificate as an integral part of any business What is a Certificate Authority (CA)? What are the high assurance SSL-certificates? ‹ Symantec Seal-In-Search: what is it and why is it necessary?